If we’re to believe all the headlines from the last few days, a gluten-free diet increases your risk of developing type 2 diabetes. We read those screamers in the Express, the Independent, the Times, and the Telegraph, among many others — including the New Scientist. Meanwhile, The Conversation — “Academic rigour, journalistic flair” — went further, trumpeting that “gluten-free food is not the healthy option and could increase your risk of diabetes”. The source for this news was as-yet unpublished work presented to a recent American Heart Association meeting by Harvard University nutrition researchers. You can read a round-up of that, from the AHA itself, right here. Most noticeable, of course, is the AHA’s headline. “Low gluten diets may be associated with higher risk of T2D …” — a low gluten diet is not a gluten-free diet. Self-reporting by participants obviously has scientific limitations, and researchers say that further studies are needed. 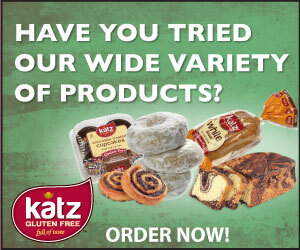 The study did not look at modern-day gluten free foods, which were barely available when the records used began. The study did not look at those following gluten-free diets — typically lower than 0.005g a day — which were hardly known of at the time, and researchers made no statement about gluten abstention. Researchers did not say ” … those who cut gluten out of their diet increase the risk of developing diabetes” — as the BBC claimed, along with many others, including some of those mentioned in the first paragraph above. This was about consumers who just happened to be on the lower end of the gluten-consuming spectrum, living at a time when most did not know what gluten was, let alone how to avoid it. I guess, though, that doesn’t make much of a story to shout about through the media — be it journalistic or social — when it’s far more profitable to add more misinformation to the slushpile of gluten confusion, and more entertaining to use that to have a pop at the hipsters who order the quinoa or ‘dieters’ who demolish trays of sweet potato chocolate brownies. Thanks to Amy Ratner for alerting me to the point that this research did not cover GFDs. Healthline covered the news more accurately, but RD quoted assumed participants aimed to restrict gluten. Click here. Popular Science’s take was also more thoughtful and considered than the average. Click here. Coeliac UK issued a brief statement on the research. Click here. This article and the links have been very useful indeed. I’m pretty sure my husband has dermatitis herpetiformis. Thank you.